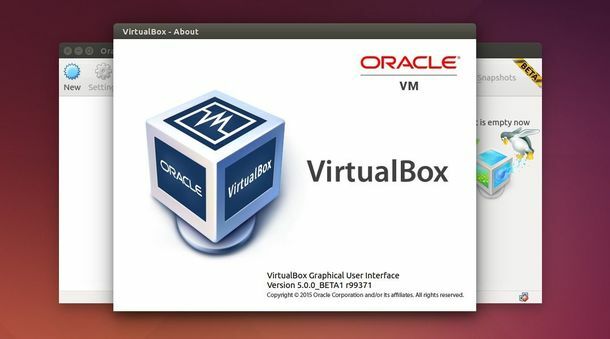 A new major release of Oracle’s Virtualbox 5.0 now is available for test by releasing the Beta 1 version. VirtualBox 5.0 is set to bring paravirtualization support for Windows/Linux guests, more instruction set extensions, bidirectional drag-and-drop support to guests, disk image encryption support, various UI improvements, and numerous bug-fixes. NOTE: do NOT use this Beta release on production machines. It should be considered a bleeding-edge release meant for early evaluation and testing purposes. 3. Click to open the downloaded archive with Ubuntu Software Center and install it. Hm… no packages for Ubuntu 14.10? That’s really disappointing. Has anybody tried to use the trusty packages on Ubuntu 14.10?